Home » Features » Daniel Dacombe: Substance Use and Addiction: What Can the Church Do? In my years of helping youth and families with mental health issues, some of the most challenging issues I have seen those families face are those involving substance use and addiction. With physical illnesses we as a church are supportive; with mental illnesses we tend to be understanding. With harmful substance use and addiction, though, some people tend to experience more judgment and shame in Christian circles. There are a number of reasons for this, and I believe it is important to understand these reasons if we are to give the best quality of help and support to individuals dealing with substance use issues. One reason is that Christians, and the various forms of the Mennonite church especially, have historically discouraged substance use. Passages from the Bible discouraging drunkenness are cited in support of a life lived without substances, or, at least, with only moderate substance use (usually alcohol only). From this perspective, individuals who develop issues with alcohol or other drugs may be looked down on as merely suffering the consequences of personal sin. However, the reality of addiction is much more complex. With harmful substance use, individuals can act in ways that are damaging to themselves and their loved ones. These actions often seem out of character; individuals who are normally loving and upstanding members of society seem to become complexly different people when they are in the grips of an addiction. They may even say that they want to change, but seem unable to despite the negative consequences they experience. Are these dangerous behaviours all really the result of poor choices? Or is there something more going on? In order to unpack these complex issues, let us first define what we are talking about for the purpose of this article. A drug is any substance not food that can cause changes to how our body and/or mind are working. 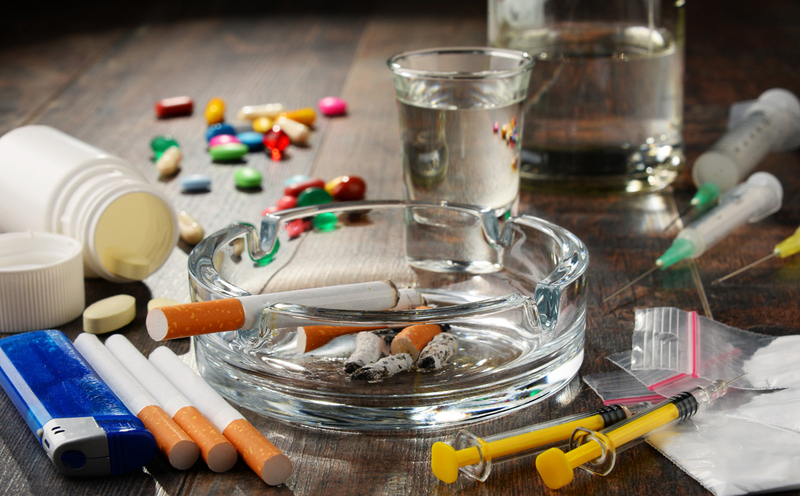 Harmful substance use is using one or more drugs in a way that causes problems for us in our lives. Addiction means continuing with harmful substance use in spite of the consequences one experiences, often with significant distress and failed attempts to quit or reduce use. According to research conducted in 2012, approximately 1.4 million people or 4.4% of Canadians met the criteria for a substance use disorder. Young people aged 15 to 24 are more likely to experience or substance use disorders than any other age group. At least 20% of people with a mental illness also have a substance use problem. Men have higher rates of addiction than women. The costs of substance use and addiction are not just economic. There are many personal costs as well—consequences to physical and mental health, job loss, family breakdown, even death. The fact that many people continue to use substances in a harmful way despite those costs suggests that there is more to the issue than someone simply making bad choices—addiction is real. It is a real experience for many people in Canada and around the world, and the effects can be anywhere from debilitating to deadly. But as real as it is, it is still a mystery to many people. What exactly is an addiction, and how does it develop? Throughout history, there have been many different models used to understand addiction and addictive behaviours. One such model is the Temperance Model, popular in the 19th century, which is a view that places the blame for addiction on the substance directly. Alcohol and other drugs are evil, or sinful, and exposure to them causes people to succumb to temptation and ruin their lives. The problem with this view is that the vast majority of people who drink alcohol do so responsibly and with no harm done to their lives. It is a minority of drinkers who use alcohol harmfully. A later model of addiction was the Disease Model, which was popular during the rise of Alcoholics Anonymous. This view states that certain individuals have a “brain disease” of addiction or alcoholism that causes them to develop issues with substances. One issue with this view, though, is that it ignores the complicated personal, family, and environmental issues that can contribute to someone developing a problem with substance use. The current theory on addiction is one called the Bio-Psycho-Social Model. This model acknowledges that substance use and addiction issues are complex and may have multiple causes, including biological (genetic or brain issues), psychological (disordered thinking or mental illness), or social (family or environmental issues). This model is supported by research into substance use issues and has become the most commonly used model in addiction treatment today. One of the most important things this model can teach us is that addiction and harmful substance use are not merely the results of poor personal choices or giving in to temptation. They develop because of a wide variety of factors, many of which are outside of the individual’s control. People living with substance use issues and their loved ones are often at risk of falling through gaps in our communities, suffering silently and alone. There are several things that members of the church can do to help prevent this from happening. Mennonite groups have even worked with individuals dealing with the effects of substance use issues, including programs through the Mennonite Central Committee such as El’Dad Ranch. As far as community agencies go, the church is perfectly poised to step in and “fill the gaps,” and I would like to share a few ideas about what this could look like. Start with compassion. Remember, individuals dealing with harmful substance use or addiction may be suffering greatly and struggling with changing their circumstances. The church has a ready-made response for situations such as this. It’s called grace. Provide support. As the church, we are typically good at supporting people in our midst who are suffering. We make food. We help with bills. We show up. How amazing would it be if we did that not only for the people in our lives who have physical illnesses, but for those who deal with mental illnesses and addiction as well? Encourage access to services. Harmful substance use and addiction are issues that can’t be tackled alone. Encourage your loved ones to seek help, to find a counsellor, or to access addiction services in your area. Finally, don’t lose hope. Having someone in your life dealing with harmful substance use and addiction can be both disheartening and frustrating. Don’t lose hope. Many people have overcome these issues in the past. It does, however, take time and help. If you are feeling overwhelmed while you are supporting your loved one, don’t be afraid to reach out for help for yourself. Daniel Dacombe has worked with youth for nearly fifteen years, including at Youth for Christ. He has attended Providence College and Seminary for social sciences and counselling education. He attends Heartland Community Church and lives with his wife, two daughters, and a very large dog.